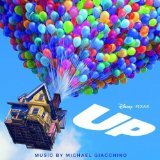 Get a free download of the Disney Up Soundtrack today (12/3) only. Just enter the code latimesdisney and you’ll be able to download the 23 instrumental tracks from the Disney/Pixar movie for free. I’m a HUGE Pixar fan, and I loved this movie, and it’s my birthday, so I’m thrilled that Heather at Freebies4Mom found this gem for us today!